Happy Thoughts & Inkspots: New Winner for Whimsy Candy & More Awards! New Winner for Whimsy Candy & More Awards! My original Whimsy Candy winner never contacted me. I did leave a comment on her blog but since she had no email address listed, I couldn't contact her directly. I think I have waited a fair amount of time, so Denise and I agreed that I should pick a new winner. Which means that my new winner is Beate! "I wish you a happy new year.What a nice blog-candy!I linked you on my blog.Greetings from GermanyBeate"
Congratulations Beate! Please send me your address so I can send out your Whimsy candy. 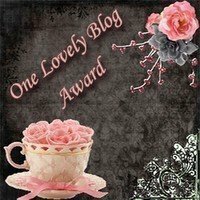 I have been given more awards this week! WOW! What a great feeling to know others are enjoying what you are making! Keeps my MOJO alive even when it is freezing outside. 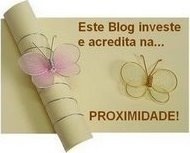 This award is given to a blog that invests and believes in PROXIMITY - nearness in space, time and relationships! These blogs are exceedingly charming. These kind of bloggers aim to find and be friends. They are not interested in prizes or self-aggrandizement. Our hope is that when the ribbons of these prizes are cut, even more friendships are propagated. Please give more attention to these writers!" Thank you my friends. They are all so pretty and I am honored that you chose me. I am again going to pass these along to all of you who visit and encourage me. I can't pick just a few of you...that is torture! I want you all to have them! Please visit their blogs to be inspired at their gorgeous creations! I will hopefully be able to post a card later today! Enjoy your day wherever you are! oh what a nice surpise!! I'm really happy, thank you very much!!!! I have mailed you my adress. Congratulations on all your wonderful award! They are definitely well deserved!